In the past 12 years, the second lowest minimum temperature for the month was recorded on December 29, 2007 at 3.9 degrees Celsius, data from the Met department revealed. New Delhi: The national capital on Sunday recorded its coldest December temperature in the past 12 years with mercury dipping to 3.7 degrees Celsius, as a moderate cover of fog surrounded the city dropping visibility. The minimum temperature on Sunday was four notches below the season’s average, a Met department official said. In the past 12 years, the second lowest minimum temperature for the month was recorded on December 29, 2007 at 3.9 degrees Celsius, data from the Met department revealed. The all-time lowest temperature in the national capital for the month of December was 1.1 degrees Celsius recorded on December 26, 1945, it said. The morning also witnessed a moderate cover of fog around the city with visibility dropping to 300 metres at Palam and 400 metres at Safdarjung, said the MeT department official. With the prevailing cold wave conditions, the minimum temperature on Saturday was 4 degrees Celsius, second time this week. On Thursday also, the minimum temperature was 4 degrees Celsius. Meanwhile, Delhi also recorded its second highest pollution level this year on Sunday. While the Central Pollution Control Board (CPCB) data showed the overall air quality index (AQI) at ‘severe’ level of 450, the Centre-run System of Air Quality and Weather Forecasting (SAFAR) showed a higher level at 471. This is the second highest pollution level this year. The highest was recorded on November 8, a day after Diwali, when the AQI touched 571. In the wake of deteriorating air quality, authorities have advised people to minimise outdoor activities for the next couple of days. On Saturday, the mercury dipped to zero degrees Celsius in Karnal as the cold wave sweeping most parts of Haryana and Punjab for over a week continued unabated. The minimum temperatures in the two states were several notches below the normal. 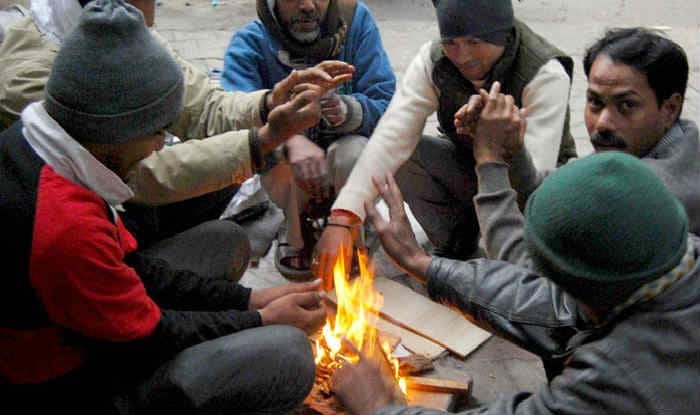 Among other places in Haryana, Hisar, Ambala and Narnaul shivered at 2.7, 4.6 and 2 degrees Celsius respectively, up to five degrees below the normal. Rohtak, Bhiwani and Sirsa recorded minimum temperatures of 3.8, 5.5 and 3.8 degrees Celsius respectively. In Punjab, Adampur continued to be the coldest place in the state for the second consecutive day at 0.2 degrees Celsius. Amritsar, Ludhiana, Patiala, Pathankot, Halwara and Bathinda also braved icy temperatures at 2.2, 1.4, 4.7, 3.1, 2.2 and 2.4 degrees Celsius respectively.